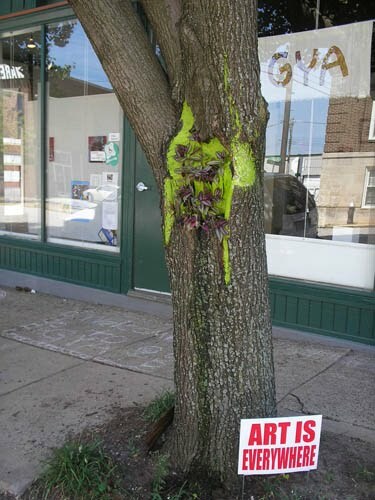 Yeyo Arts Collective: Art is Everywhere! The Art Is Everywhere series of viewer participatory artworks celebrates the thriving existence of art beyond strictly the gallery and museum settings. Thus far, the series has included a Creative Commons installation, Cafe Press merchandise and a sign project, to which this blog is devoted.